I am always surprised by the number and quality of ancient Egyptian antiquities that appear on the antiquities market. Collected legally, probably mostly during the nineteenth century, the objects appear briefly in sales catalogues and then, for the most part, disappear into private collections. Anyone who has the time, inclination, and, of course, the money, can form a collection of genuine antiquities. W.
Arnold Meijer has done just that, and with a discerning eye has put together an impressive collection. As he points out in his preface to this book, the collector can never properly own the objects, but is simply their guardian for a while. He (or she) has a duty to care for them responsibly. In this instance, the collector went a stage further, and, commendably, loaned his collection for a temporary exhibition at the Allard Pierson Museum in Amsterdam. This gave the opportunity for the objects to be seen by a wide audience, but also allowed them to be studied in some detail by experts. In turn, this has resulted in a superb catalogue of the collection. The catalogue is fully illustrated with a detailed description of each object in chronological order. An impressive team of Egyptologists has contributed to its compilation. The objects themselves are of the highest quality: hard stone vessels from the Early Dynastic Period, faience objects, statues and Late Period bronzes. Most of the objects are relatively small in size, but they do include some key pieces. A head of a princess, identified as Nebetah, daughter of Amenhotep III and Queen Tiye, is actually from the huge seated statue of Amenhotep and Tiye in the Egyptian Museum in Cairo, and a splendid head of Amun from the reign of Sety I is also an important piece. Museum catalogues are always worth buying, as they include, as this one does, some humble and simple pieces that nevertheless warrant study and publishing. 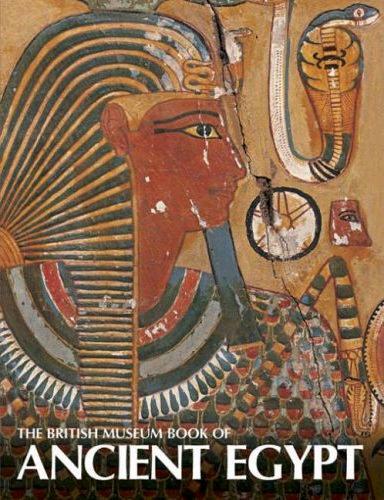 The production of this book is important, as it means that, whilst the objects themselves may not be on public view all the time, the catalogue can be used as a reference book for study by Egyptologists. W. Arnold Meijer, and everyone involved in producing this volume, have done Egyptology a great service. Would that other private collectors who hold important pieces would follow Meijer’s enlightened example. Published by Philipp von Zabern, 2006. ISBN 978 3 8053 3651 2. Hardback, price .29.90. This is a fully revised and updated edition of the British Museum’s authoritative guide to the civilisation of the pharaohs, first published in 1992. This highly readable book covers every aspect of the culture, from early prehistory, through the three millennia of pharaonic history, to the years of late Roman antiquity, when Christianity replaced the ancient Egyptian religion and the hieroglyphic script died out. The expert authors draw on the most recent discoveries and research, as well as the impressive and huge Egyptian collections of the British Museum, to illustrate the many facets of this magnificent ancient civilisation. Individual sections are devoted to the natural setting of the Nile Valley; the social and economic life of its inhabitants, with an historical outline; the religious beliefs presented in ancient art and texts; the funerary practices of the ancient Egyptians; their distinctive and harmonious art and architecture; their technical achievements in working local and imported materials; and the world around the ancient Egyptians, in particular their southern neighbour Nubia, with its less well-known but equally brilliant civilisation. With a section on the names of Egyptian rulers, and a good bibliography, this book is ideal for both the absolute beginner and the enthusiast, and, if you do not have a copy of the first edition already, then this revised edition should be a ‘must’ for your own library. ISBN 978 0 7141 1975 5. Paperback, price £16.99. 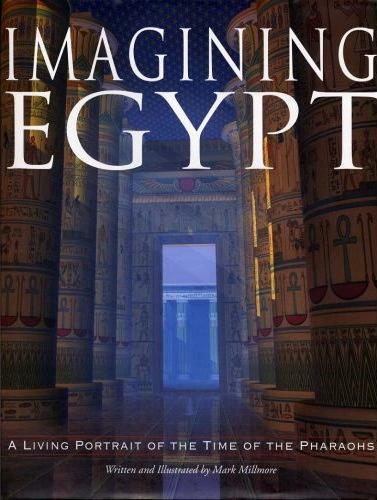 This book, written for children, is a full-colour journey into the past that really does bring to life the wonders of ancient Egypt. temples recreated to look as they would have done originally, along with pictures of the sites as they are today, with maps, timelines and other images. The computer reconstructions may look good visually, but anyone who knows the actual buildings well may spot errors, such as inappropriate scenes shown on parts of temples and papyrus columns in the Hypostyle Hall at Karnak with straight shafts, rather than ones which curve inwards at the base. Sometimes, photographs of the real thing can be more than adequate. However, where the computer reconstructions really do come into their own is on a CD-ROM that is also available, where it is possible to see multiple views of some of the reconstructed buildings from various angles. There is also a linked website www.discoveringegypt.com. The book covers most aspects of the subject, including history, religion, kings and queens, pyramids, temples, hieroglyphs, daily life and the Land of the Dead. It contains a great deal of good, well-presented information and it should be in every school library as a useful first book on the subject. A bibliography for further reading would have been useful, however. Published by Black Dog & Leventhal Publishers, 2007. The city of el-Amarna (Akhetaten, ‘The Horizon of Aten’), the capital and residence of Pharaoh Akhenaten, is a site of unique interest. Not only is it the only major Egyptian settlement to have been preserved to the point where it can be largely reconstructed, but it has the unique distinction of being a time-capsule located firmly at the end of the Eighteenth Dynasty. This means that we can gain a very clear picture of what an Egyptian capital city was like during the greatest period of ancient Egyptian history. The art of this period has always been of great interest the art historian. The religious revolution in the reign of Akhenaten brought significant changes of emphasis and iconography, some of them strange to our eyes when compared with the more conventional ancient Egyptian art, but it was a time when naturalism gave the art of the period a freshness and immediacy not seen before. 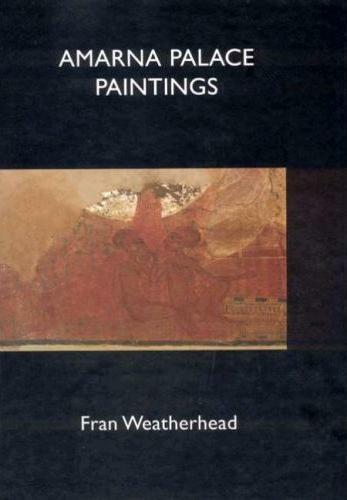 This book is devoted to the study of one of the most important aspects of this artistic tradition: the paintings from the buildings at Akhetaten, which have not, until now, been fully studied. Visitors to the Egyptian Museum in Cairo will have seen some of the paintings and there are other examples in museums around the world. The author has identified the examples that survive and has managed to group the paintings together, building by building. Using excavation photographs, line-drawings, facsimile paintings and photographs of the surviving scenes, this is as full a record as one could wish for of the painted plaster from the city. In the process of the research many previously-unknown fragments of paintings have come to light and this enables more accurate reconstructions to be made of the original decorative schemes of the royal palaces and buildings. 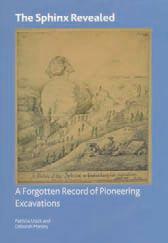 It is fascinating to read the accounts of the discovery of the paintings and to see the excavation photographs. These photos are hugely important, for many of the plaster painted scenes disintegrated when attempts were made to move them, and some were even deliberately damaged. The paintings speak for themselves. Their naturalistic style and accurate representations of wildlife are a delight, and the many geometric patterns and friezes that decorated the palaces demonstrate that, although the buildings were made of simple mud-brick, when intact they would have been a blaze of colour, with every inch of the floors, walls and ceilings covered in painted plaster. Whilst this is, perhaps, a technical volume, it is an outstanding study of the material and one that will appeal to anyone interested in this period of Egyptian history, not just to art historians and experts. 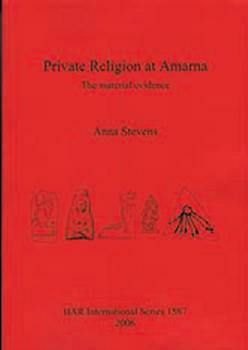 This book makes a major contribution to the study of the art of the Amarna Period. 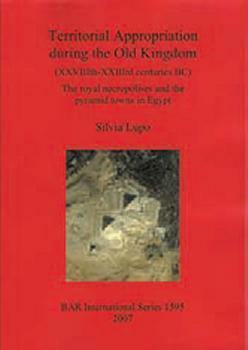 Published by the Egypt Exploration Society, 2007. ISBN 978 0856 98166 1. 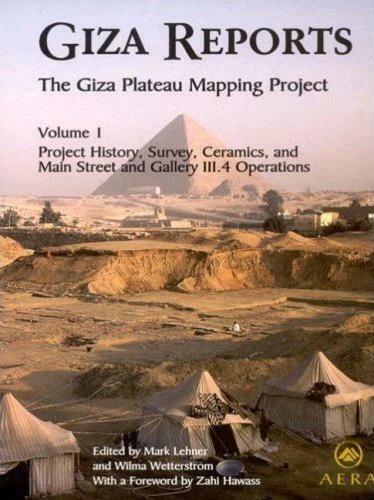 This first volume on the work of the Giza Mapping Project includes a foreword by Zahi Hawass, a preface, a history of the Project, three articles on the work to establish a survey grid over the Giza Plateau, and a preliminary ceramic report. There are also detailed reports on two excavation operations – Main Street and Gallery III.4 – along with short reports on the ceramics, lithics, flora, fauna, charcoal, and sealings from these areas. The volume is well-illustrated with one hundred and ninety-six line drawings (many of which are archaeological plans and sections) and ninety-six black and white photos. It also includes two large fold-out maps: a topographical map of the Giza Plateau and a map of the site. 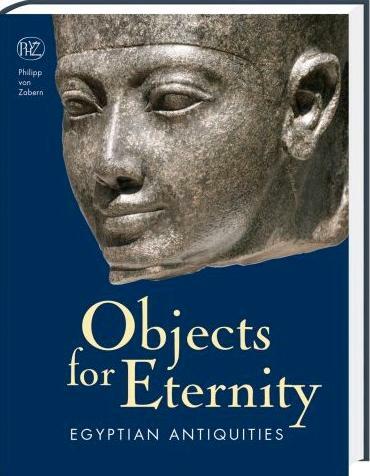 Published by Ancient Egypt Research Associates, 2007. The Czech Institute of Egyptology has been excavating at Abusir for many years and has been publishing a series of detailed excavation reports covering different aspects of the work there. 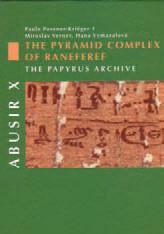 This volume deals with the papyri found in the Mortuary Temple of Raneferef. Chapters cover the interpretation of the papyri and detailed relevant studies on the chronology, place names, temple personnel, temple economy, accounting terminology, and woven materials. This is undoubtedly a technical volume of interest to the expert. What is fascinating is that, despite the very fragmentary state of the papyri, so much information can be obtained from them. It is also a testament to the skill, dedication and patience of those involved in their excavation and subsequent study. ISBN 80 7308 154 7. In 2002, a two-volume manuscript memoir on the Giza Pyramids and the Sphinx, by Henry Salt, was rediscovered in the archives of the Department of Ancient Egypt and Sudan, at the British Museum. The ‘Text’ volume was written by Salt, the British Consul General in Egypt from 1816 until his death there in 1827, and relates the results of work carried out on Salt’s behalf by Captain Caviglia, in 1816-18 in the Giza necropolis area. The ‘Atlas’ volume contains sixty-six original drawings by Salt. It shows the first modern excavation of the Sphinx, and illustrates their discoveries beneath the Sphinx, in the Great Pyramid and among the surrounding tombs. 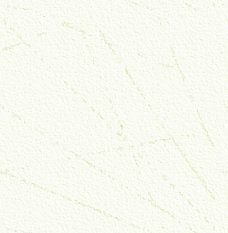 These drawings include an annotated ground-plan of the Giza necropolis which, for the first time, elucidates their discoveries. Salt also made accurate and important early copies of hieroglyphic and Greek inscriptions found during the Sphinx excavations and recorded the massive Roman stairway that was later cleared away. This new British Museum publication shows, for the first time, what the site looked like at the beginning of the nineteenth century and provides a fascinating glimpse at some of the first recorded excavation work at the site. The plans are surprisingly detailed and the drawings are a delight. It was at this time that Caviglia uncovered the famous Dream Stela between the paws of the sphinx and Salt’s drawings are the first recording of this monument. For anyone interested in the archaeology of Giza, and of the Sphinx in particular, this will be a most welcome volume. Published by the British Museum, 2007. ISBN 978 0 86159 164 0. This is a concise, practical guide to show readers how to write names (and greetings, complaints and even insults) in hieroglyphs. Step by step guides even help readers to draw some of the more complicated signs. 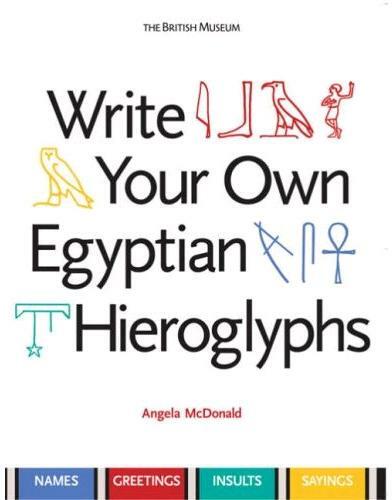 It you are a beginner to the subject and mystery of hieroglyphs, then this book is an excellent starting point. Archaeopress publish a number of titles on ancient Egyptian subjects which may be of interest to readers. For a full list of titles and/or more details, contact Archaeopress, Gordon House, 276 Banbury Road, Oxford OX2 7ED, England. ISBN 978 0 7141 1976 2. The concepts of ‘territory’ and ‘territoriality’ are analysed on the basis of anthropological and archaeological data. It is assumed that ‘territory’ and ‘territoriality’ are more complex concepts than simple space-occupation. In the case of Egypt in the Old Kingdom, the author considers different variables related to the ideology and to the socio-political and economic systems of the Egyptian state. Its consolidation, the royal power legitimisation and that of the élite, and the socio-political and economic system are here considered from their unification in the Early Dynastic period, to the Old Kingdom, when the state expanded and its political and ideological maturity was achieved. Part One: Territory, occupation of space and legitimisation; Part Two: Royal necropolises and pyramid towns during the Old Kingdom; Part Three: The territorial appropriation in Egypt – an alternative explanation for the Old Kingdom. ISBN 978 1 4073 0011 5. Also examined are the role of the royal family and the Aten, and ‘traditional’ deities and spirits, including private ancestors. This section also considers the shape of the religious cityscape, and the questions of who was participating in religion, and what was done with the material when it was no longer in use. The study concludes with a discussion of the motivating factors that underlay religious conduct, and which open a small window onto the ideas that shaped the religious landscape more broadly. ISBN 1 4073 0000 8.